My Mom saw something special in me the day she brought me home. She said I was so gentle and lovable that I was born to do great things, and that's just what I do. 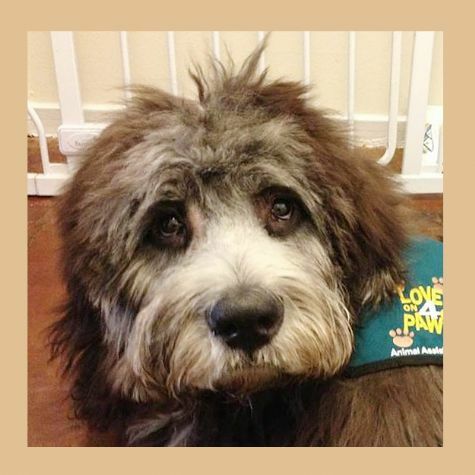 I'm a Saint Berdoodle, a cross between a Saint Bernard and a Poodle, and I'm huge; 130 pounds of pure love, and that's what I give to everyone I visit. I love my job.